Access to clean water is not assured for major swathes of humanity. In the 20th century, demand grew at twice the rate of the population. In the Malthusian catastrophe, nearly one-fifth of the world’s population lack access to clean water and a quarter of the population faces economic water shortages. To address this crisis, global collaboration between institutions is needed to develop implementable strategies for global sustainable management of water resources within the human habitat. ACT 1 aims to create coatings that capture, divert, recover, and purify water. To enable these technologies fundamental questions associated with water wetting and flow on complex substrates will be addressed. In the last three decades, tremendous activity has focused on the design of surfaces with tailored surface wetting states. Building on this body of knowledge, we design and fabricate surface coatings with features to capture, steer, and purify water by tailoring surface chemistry, topography, and porosity. Our topographically hierarchical structures with strategically patterned surface chemistries are inspired by two natural examples, the Namib beetle and the cactus O. microdasys. For example, the Namib beetle’s back has hydrophilic bumps surrounded by hydrophobic valleys. Water micro-droplets from fog adhere to the bumps and coalesce. When the drops become big enough, they touch the surrounding hydrophobic zone, detach and roll into the valleys for collection. Despite recent efforts to (bio) mimic geometries for water collection, fundamental questions remain. What are optimal sites for water collection and drop growth? What feature geometries best steer droplets to locations for collection? Can we create pinning sites for water collection, but overcome that pinning for water flow? Can we exploit evaporation gradients and the associated surface tension/energy gradients to drive drop motion? How robust are the tailored surfaces? How can one directly observe water droplets on structured surfaces? Collected water must be filtered and treated to be potable. In addition to the water collection surfaces above, we will fabricate nanocomposite membranes with embedded percolating networks of nanoparticles (NPs) to develop scalable, inexpensive membrane platforms for water purification. Powered by fundamental knowledge developed through the project, we aim to develop coatings from polymeric substrates, polymeric nano- and microparticles, and inorganic NPs/nanowires (NWs) on polymer films, nanoparticle-polymeric composites, and sol-gel thin films, all via methods selected for eventual inexpensive manufacturability on films or substrates of large extent, thus creating a platform of technologies for mass implementation and broad impact. Cho, Younghyun, Tae Soup Shim, and Shu Yang. n.d. “Spatially Selective Nucleation and Growth of Water Droplets on Hierarchically Patterned Polymer Surfaces.” Advanced Materials 28 (7): 1433–39. https://doi.org/10.1002/adma.201504899. Hor, Jyo Lyn, Yijie Jiang, David J. Ring, Robert A. Riggleman, Kevin T. Turner, and Daeyeon Lee. 2017. “Nanoporous Polymer-Infiltrated Nanoparticle Films with Uniform or Graded Porosity via Undersaturated Capillary Rise Infiltration.” ACS Nano 11 (3): 3229–36. https://doi.org/10.1021/acsnano.7b00298. Jiang, Hao, Suruchi Fialoke, Zachariah Vicars, and Amish J. Patel. 2019. “Characterizing Surface Wetting and Interfacial Properties Using Enhanced Sampling (SWIPES).” Soft Matter 15 (5): 860–69. https://doi.org/10.1039/C8SM02317D. Manohar, Neha, Kathleen J. Stebe, and Daeyeon Lee. 2017. 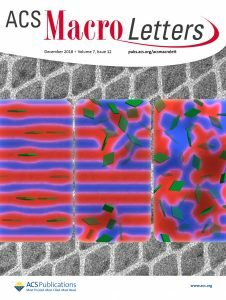 “Solvent-Driven Infiltration of Polymer (SIP) into Nanoparticle Packings.” ACS Macro Letters 6 (10): 1104–8. https://doi.org/10.1021/acsmacrolett.7b00392. Zhang, Yue, Connor N. Woods, Mauricio Alvarez, Yi Jin, Robert A. Riggleman, and Zahra Fakhraai. 2018. “Effect of Substrate Interactions on the Glass Transition and Length-Scale of Correlated Dynamics in Ultra-Thin Molecular Glass Films.” The Journal of Chemical Physics 149 (18): 184902. https://doi.org/10.1063/1.5038174.